1. The phrase or punctuation I overuse most is "awesome!" I can't help it though. So many things truly are awesome! 3. My best friend is a mixture of people. I can't choose between my 2 high school besties, my boyfriend and my mom. They're each good for me, but in very different ways. 4. A quirky thing about me is I have fuzzy Winnie the Pooh ear barrettes that I wear when I have to do something at home that I don't want to- the dishes; write a boring article; call the bank. It makes the day a little better! 5. This weekend I am stuck doing homey things on Saturday, and going to Disneyland for the Mardi Gras celebration on Sunday. They have Bananas Foster Crepes at one of the restaurants! 6. Something that worries me is ... everything? I really am a worrier. 7. On my night stand you would find a stack of books, reading glasses, iPod, bottle of water and heart pills. I couldn't choose just one friend either! Love your blog, it's super cute! I know, as we get older we get more "best friends" I think. I bet Disneyland will be fun this weekend! I love your blog header! The more friends, the better- I say! Have fun in disneyland! That sounds great! Love #1 and 4. Awesome is my #1 too. #4 just sounds too cute. Love the idea of brightening up mundane, every day tasks. I may have to try this. 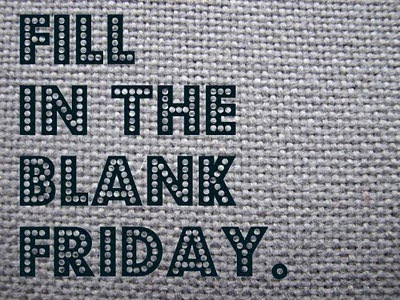 I found your blog through fill in the blank friday and I love it! I couldn't pick a best friend either. I have so many awesome friends! I'm grateful for your blog too :). Have a great weekend!!! It happens to me sometimes too with the phrase that I can't get it out of my head. Now that I see your banner is whimsy, I keep thinking of the word, whimsical, in my head non-stop. I guess I have one subject of mental disorder or somewhat. Oh well, I love your blog and would love to have our store included. Please contact us!